Max and Voltaire: Getting to Know You is set a country called France. 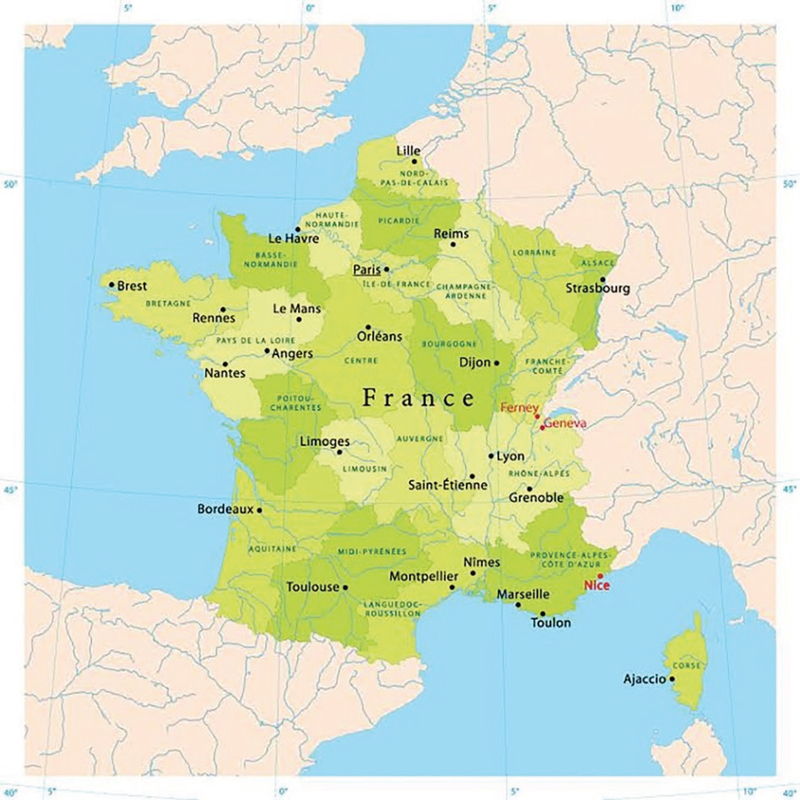 France is located in Western Europe. The capital of France is Paris. 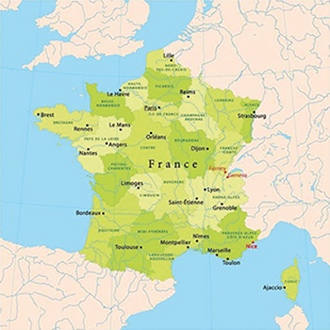 The official language of France is French. Ferney-Voltaire is a small town in eastern France on the French-Swiss border, near a Swiss city called Geneva. Max and Voltaire: Sightseeing and Catnapping takes place in Nice, a city in the south of France on the Mediterranean Sea. It is the fifth largest city in France. Max and Voltaire: Voyage to the Eternal City. Max and Voltaire visit Italy. They travel to Padua, Bologna and Rome, the Eternal City, where they learn about Italy’s history and heritage. Padua is located in northern Italy, near Venice. Some say that Padua is the oldest city in northern Italy. Bologna is also in northern Italy, not far from Padua. It hosts the world’s oldest university. 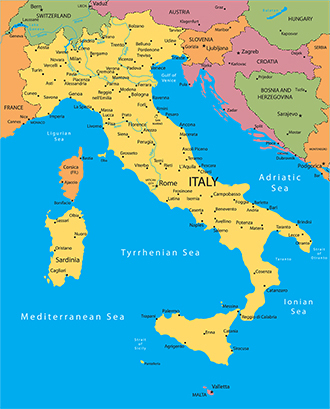 Rome is the capital of Italy and its largest city. It is located in the central-western part of Italy. Max and Voltaire: Treasure in the Snow is set in Chamonix-Mont-Blanc (Chamonix for short), a famous resort area located at the base of Mont Blanc, the highest summit in the Alps and sight of the first Winter Olympics in 1924. Max and Voltaire: Meet a Wise Old Bird. Aix-en-Provence (simply called Aix) is a town in the south of France, about twenty miles north of Marseille. Aix is a university town with a large number of students. It is also the home of Paul Cézanne, the famous French painter.